The highly-skilled, accomplished trial attorneys who make up McGarity and Efstration are determined to find optimal solutions to your complex legal matters. We pride ourselves on being problem solvers, and we never forget that the cases we fight have real consequences for real people. When you choose our firm, you can expect caring, committed service from lawyers who treat you more like family than a client. We understand that legal disputes can be very stressful for most people, and we provide as much hand-holding as you need. Throughout the process we communicate with you frequently to answer any questions and to update you on the progress of your case. We return phone calls and emails promptly, so you can be confident we’re making every effort to deliver the best results possible. Accident and wrongful death cases give our attorneys the opportunity to be the voice for the poor and the humble against the powerful. We have received numerous awards and accolades for legal excellence, but what matters more is knowing that we’ve obtained justice for someone who could not have gotten it without our help. When you are facing a divorce, you need a law firm that provides comprehensive services for such issues as child custody, child support, alimony and property division. 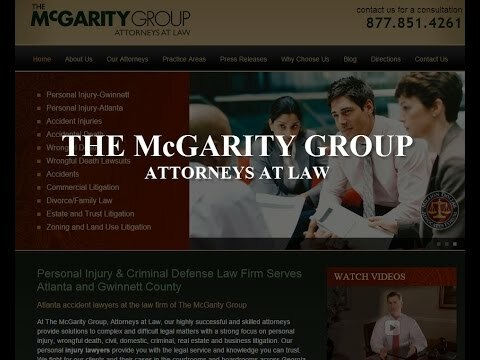 We can help with whatever dispute arises during your divorce. We can also help you with other family law issues, such as adoptions, prenuptial agreements and child abuse matters. Criminal defense — Attorney Mike McGarity is a former prosecutor and Chuck Efstration is a former assistant district attorney. They provide effective criminal defense representation to felony and misdemeanor charges. Commercial litigation —We assist with precontract negotiations, litigation avoidance and business counseling. We provide the aggressive representation in commercial litigation that your company needs to keep it safe and successful. Estate and trust litigation — Our attorneys manage disputes between beneficiaries, questions of fraud, concerns of incapacity or accusations of financial mismanagement. Zoning and land use litigation — We have years of experience handling purchase and sale contracts, partnership disputes, commercial leases, property insurance, boundary line disputes and the eminent domain takings. The skilled professionals at our firm provide legal care you can count on. Hiring McGarity and Efstration puts a veteran team on your side and helps level the playing field for you, your family and your business. To discuss your case and determine the best course of action, call us today at 877.851.4261 or contact us online.